Child support in Greenville, South Carolina is determined according to the South Carolina Child Support Guidelines. These guidelines take into account both parents’ income as well as the child’s health care and daycare expenses. Also included in the calculation is the number of overnights the child spends with both parents. A court may consider any extraordinary circumstances as well. 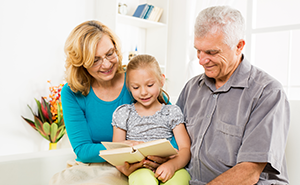 Under the guidelines, a parent’s actual gross income is normally used. However, a court can use potential income if a parent is unemployed or underemployed. Gross income includes salaries, wages, bonuses, and business income, among numerous other sources. Income may also be imputed to non-income producing assets such as unused land. Excluded from the definition of “income” are public assistance programs such as TANF and food stamps. In applying the guidelines, the court will consider a child’s health insurance and health care needs. One or both parents may be required to obtain comprehensive and reasonably priced health insurance for the child. When a child’s insurance is combined with a parent’s, only the portion attributable to the child will be factored. Uncovered health care expenses for the child exceeding $250 per child per year will be apportioned between the parents, too. Daycare in Greenville, South Carolina can be expensive for many parents. Fortunately, the guidelines account for this cost. Expenses incurred for child care, due to a parent’s employment or job search, are included in the calculation. However, the costs must be reasonably necessary to afford quality childcare from a licensed provider. Qualified child tax credits will be taken into account by the judge as well. Child support can be relatively easy to calculate when one parent has custody of the child. But there are many cases in which parents share custody. The “shared custody” guidelines may be used in these cases. To qualify for this, both parents must have custody of the child at least 109 overnights each year. When a parent fails to exercise shared custody, the parent to whom support is owed may raise this issue. In such an event, the court can order the amount of support that would exist without shared custody. Shared physical custody should not be confused with split custody. Split custody means there are at least two children and both parents have physical custody of at least one child. A court here will first determine the amount of support for the child or children in the other parent’s custody. This results in an unequal amount for each child. This difference is then offset, with the parent who owes the larger amount paying the difference to the other parent. The child support guidelines recognize that not all Greenville, South Carolina families are the same. For this reason, a parent can ask the court to deviate from the guidelines in calculating child support. Numerous circumstances may exist which would justify the court deviating. These include, but are not limited to: a child’s educational expenses; equitable distribution of property; consumer debt; and more. Extraordinary travel expenses, which can exist when the parents live far from each other, may also be considered. Even alimony and substantial differences in the parent’s income can result in a deviation. Courts will generally require both parents to present verified financial declarations. These declarations are used to ascertain a parent’s income, and therefore, make a proper calculation of child support. Often times, a parent will dispute how much money the other parent earns. In these cases, a judge could require the parties to present pay stubs, employer statements, or other documentation. A parent may also show his or her income using tax returns. Your attorney will want to make sure the other parent is paying his or her fair share of child support. Therefore, any concerns about the parent’s earnings should be brought to your lawyer’s attention. The rules surrounding child support are much more detailed and complicated than this overview can provide. If you are in need of child support or defending against it, don’t go without legal representation. 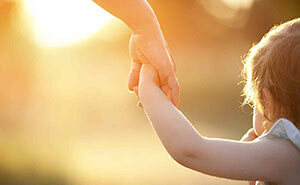 The Greenville child support attorneys at Greenville Family Law are experienced in all aspects of child support. They will explain the process and calculations to you, and defend your rights in court. Speak to one of our dedicated professionals today to set up a consultation. Child custody laws in Greenville, South Carolina ensure that everything in the best interest of the child. When it comes to child custody, visitation, and support, the legal system ooks at the willingness and stability of both parents. The name of the game during child custody hearing is to facilitate a meaningful, congenial, and hassle-free transition between the child and both parents. 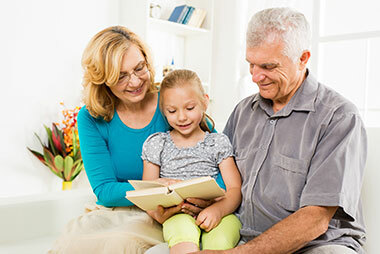 During the child custody hearing, the divorce judge will pay attention to both parents to determine which one is willing to work for the betterment of the child; based on this and several other factors the judge will know if the sole physical custody or joint physical custody may be best for the child. 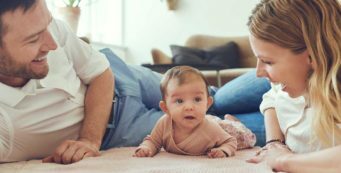 Usually, judges like to see joint physical custody when it comes to child custody cases, as it has been shown to provide the best outcomes for the child. What is the mental health of the parents? In general, the parent who does get child custody must be mentally stable. The parent with a mental health history is less likely to get custody. In some cases, the judge may order a mental health exam if there is a question about the mental status of the parent. What is the physical health of the parents? In general, looking after a child is physically demanding and laborious. Thus, a parent who is handicapped or has a physical disability is less likely to get child custody. Any parent accused or charged with physical or sexual abuse or even domestic abuse is less likely to get the child. What is the child’s physical and mental health? In many cases, the judge will also assess the child’s preferences and physical and mental health. The judge will try and select the best parent as the custodial parent as one who can meet the physical, mental and financial needs of the child. What are the living situation and financial status of each parent? In general, the divorce judge wants the child to be in a safe environment where he/she will be provided for. In addition, the court will also look at the financial stability of each parent. Finally, the judge will also assess each parent’s relationship with the child. Also, they look at how much involvement the parent has had with the child prior to the divorce. 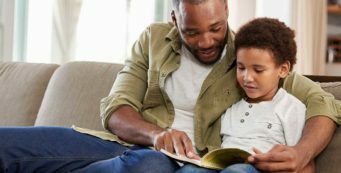 No matter which parent is the custodial parent, the child must be provided for. The child support should help pay for the child’s basic living expense and any other necessities. The amount of child support is dependent on the income of both spouses. In addition, child support will also depend on how many overnight visits the child has with each parent. Finally, the divorce judge will also take into account the couple’s marital status. 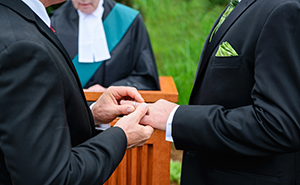 When two people are married in SC, both parents are given equal rights, duties, and power over the child. If you are not married to each other, then the custody of the child usually goes to the mother. However, the father can go to court and purse for custody of the child in question. November marks National Adoption Month. This is an initiative of the Children’s Bureau that is designed to bring awareness to adoption. There are many children who need a permanent family. These youths and children are currently in the foster care system and are looking for a forever home. If you are looking to adopt a child, you need to contact a Greenville adoption attorney to help. The Children’s Bureau uses each November to bring attention to adoption and the needs of children. By raising awareness, the Children’s Bureau helps to place many children who are in foster care with loving parents. It also helps professionals who are working in the field of foster care. For the 2018 National Adoption Month, the Children’s Bureau has chosen the theme “In Their Own Words: Lifting Up Youth Voices.” This theme centers around teens who often find themselves growing up without an adoptive parent. Teens are harder to place in permanent homes because of their older age. They miss out on the love, stability, and support of a family unit. Through this theme, the Children’s Bureau hopes to provide these teens with a stronger connection. This is a key part of helping these teens achieve more in the future, be healthier and find wellbeing. This year, the Children’s Bureau has given these teens a voice. Through the Bureau’s website, teens can share their perspective of being in foster care. This is designed to educate the community about the foster care system. Oftentimes, these teens are reunited with their family. They may find an adoptive family or they may become adults who live independently. By sharing these teens’ stories, the welfare of children in the foster care system is enriched. It allows more information to be shared about adoption processes and policies. The teens’ stories allow them to inform families about the adoption process and the permanent support they need to thrive. The Children’s Bureau has provided a website that offers resources on public adoption to parents looking to adopt. You can become involved and spread awareness of the Bureau and foster care community. How Can an Adoption Attorney in Greenville, SC, Help Me? You may begin to think about the adoption process during the month of November. If so, you need to speak to an adoption attorney in Greenville, SC. They can help you understand the laws of public and private adoption and help you understand your legal rights as an adoptive parent. They can help you find a child that will fit within your family. 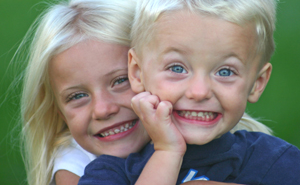 Give the gift of family to a child by speaking to an adoption attorney in Greenville, SC. They will guide you through the adoption process. They will advise you on how to proceed with finding a child. You do not have to wait any longer to start or extend your family. Let a Greenville adoption lawyer help you. You will need help navigating the complex legal system for adoption. An adoption attorney in Greenville, SC, will represent you and provide counsel during your adoption process. You need support and guidance as you begin to find the right child to bring into your home. Work with an adoption attorney in Greenville, SC. That way, you will have the knowledge that you need to understand the process from start to finish. This is a glorious time for your family. You do not want a good experience to be marred by policies and procedures that you do not understand. A Greenville adoption lawyer will provide you the information you need to make the right decision about adoption. They can help you add to your family and have that child that you have always wanted. If you are ready to adopt a child, you need an adoption attorney in Greenville, SC. They can help you with your case. 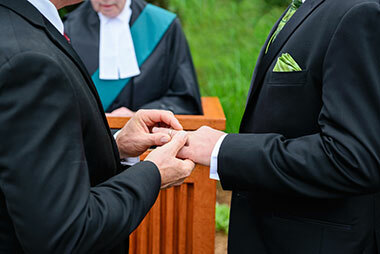 The adoption lawyers at Greenville Family Law will support you and guide you through the adoption process. Start the conversation with your adoption lawyers at Greenville Family Law now. They will assist you in adopting a child and help you understand your rights as an adoptive parent. Contact us today to set up a consultation. We are ready to help you during National Adoption Awareness Month and beyond.